Lawyers for President Donald Trump’s longtime personal attorney Michael Cohen are racing to review millions of files seized by the FBI in last month’s raids of his home, office and hotel room, but they say they are running out of time. In a hearing in Manhattan on Wednesday, Judge Kimba Wood of the Southern District of New York set a deadline of June 15 to complete their review, despite strenuous objections from Cohen’s legal team. Cohen’s lawyers said they have about 3.7 million files to sift through, but they are only about a third of the way to completion. If Cohen’s legal team is unable to complete their review, Judge Wood said she would assign any remaining material to a government “taint team,” a group of federal prosecutors not directly involved in the case, to decide what if any material is subject to the attorney-client privilege. 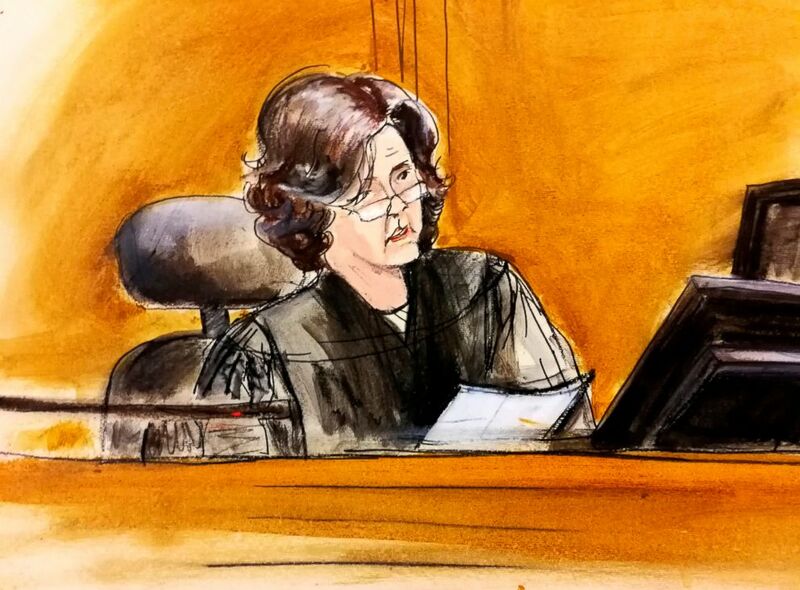 U.S. District Judge Kimba Wood presides over a federal court hearing where attorneys for President Donald Trump and Michael Cohen tried to persuade the judge to delay prosecutors from examining records and electronic devices seized in New York. Federal prosecutors also revealed for the first time that among the items seized Cohen last months was a shredding machine, the contents of which are among the only items that the government has not yet turned over to the special master or Cohen’s legal team. The hearing was otherwise dominated by Michael Avenatti, the firebrand attorney who represents adult-film star Stormy Daniels, whose real name is Stephanie Clifford. Avenatti has taken to Twitter in recent weeks to accuse both Cohen and Trump of various forms of corruption unrelated to the civil case Daniels filed against Trump in California, and he has sought to intervene in the federal case against Cohen in New York while using court appearances to continue his public crusade against them. Avenatti is not admitted to the bar in New York State, so he filed paperwork asking the judge to allow him to appear in court specifically for this case, but the judge made it clear that would she would not tolerate any attempts by Avenatti to seek “publicity” from his appearance in her courtroom. Michael Avenatti, lawyer of adult-film actress Stormy Daniels speaks to media as he exits court in New York, May 30, 2018. Cohen's attorney Ryan accused Avenatti of self-interested grandstanding, saying Avenatti’s release of some of Cohen’s financial records amounted to a “premeditated drive-by shooting” of Cohen’s rights. 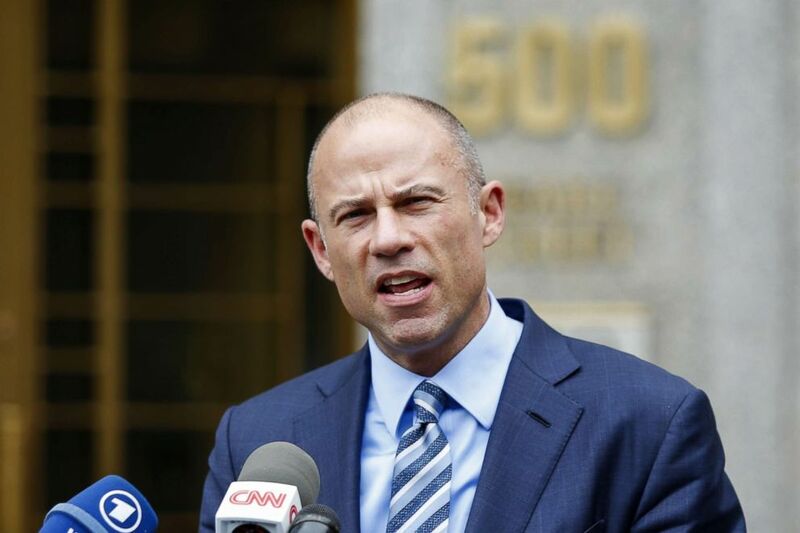 An attorney for President Trump, Joanna Hendon, joined Cohen's in seeking to keep Avenatti out of the case, saying Avenatti “is prepared to be not straightforward” with the court and accusing him of being “cute” with the facts. Shortly after the hearing, Avenatti withdrew his application for admission without prejudice, meaning he could choose to renew the motion at a later time, though he does not appear to be stepping back from the case. ABC News’ James Hill and Josh Margolin contributed to this report.